How do you make sure the stories told during an event reach further than just the hall in which they’re told? Is it possible to offer a bigger group than those physically present in the rows in front of you the same experience? 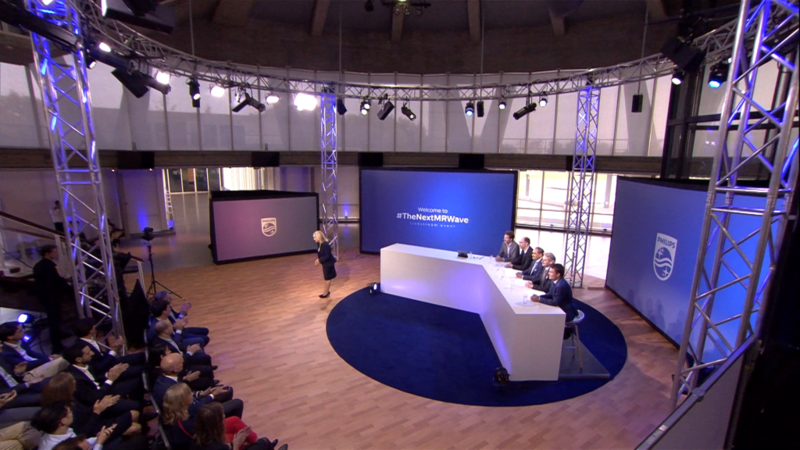 That was the challenge for We Are Live during Google’s ATV Summit event ‘The Oval Office’. 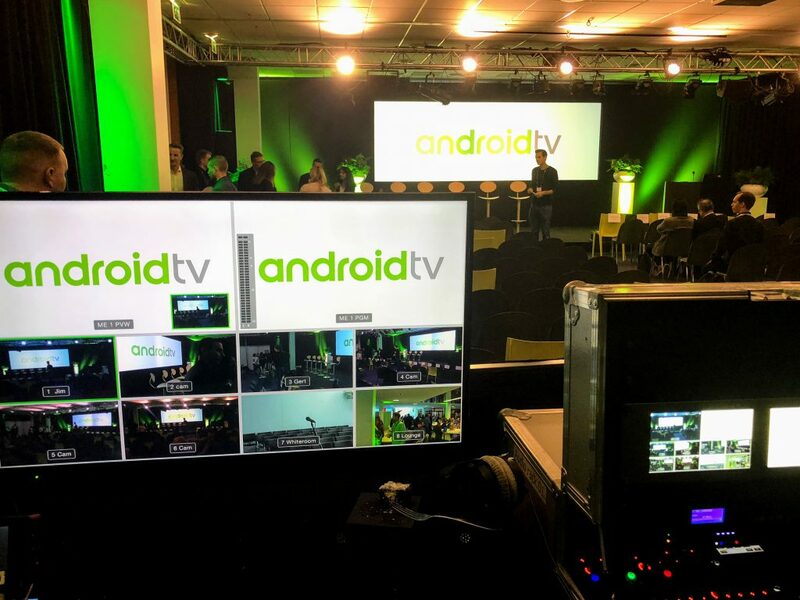 This event, organized at the IBC tradeshow in Amsterdam, aimed to promote Google’s hugely important distribution platform for TV and video: Android TV. During this event, there was space for 400 people in the main hall. For the rest of the visitors, two more halls were made available where they could follow the event through a live stream. Important partners, such as TV stations, cable companies and tv makers were present. This made it all the more important that the experience for those people viewing the live broadcast in the other two halls was as valuable as for those who sat in the main hall. We Are Live wasn’t just in charge of the high-quality livestream between halls but also had directorial responsibility. The speakers needed to be filmed in such a way that all viewers felt they were actually present. To that end, we created a special feedback loop with the other halls. By placing cameras there and broadcasting their feeds back into the first hall, it became possible for visitors in these extra halls interact with speakers. The speakers in turn could respond to these questions asked via the live video connection. This created an extra dimension and turned the event into a unique experience. By professionalizing these kinds of events, Google creates an experience for their partners that people end up talking about. We Are Live thoroughly enjoyed taking part in this enterprise. We look forward to a future where such experiences become the standard and we can help develop more of these concepts and make each event unique.